But this blues thing is phenomenal, everything coming out of it, even this new thing that these Sugar Hill Kids got goin on. What do you call it? Rap? Rap? Like H. Rap Brown? I was watching a documentary program on public broadcasting just the other evening and they were interviewing these kids out on the corner in Brooklyn, Bedford-Stuyvesant. Now I think that's where the party headquarters was bulldozed... no that was New Orleans. It was firebombed in Bed-Stuy. Sometimes I get my pigs mixed up. Birthdays was the worst days, but now we sip champagne when we thirstay. I love the way he rhymes up birthday and thirstay; that's almost as good as hotel motel. And I hope he achieves his dream, I hope his dream doesn't turn out to be like Dr. King's Dream - that was a nightmare - talk about hotel motel. But I don't know how long this rap thing is going to last. He might be better off as a gangster; America can always use a good gangster, especially in the White House. Perhaps he can find a way of combining his interests; put the gangster together with the rap, kind of like a double major. But it makes me feel good to know that this child is not even going to be 30 years old by the time the century changes over in the year 2000, 2001. And you know I'll still be a rather young man myself, and Stokely will be doing his thing, and you know Eldridge is gonna have his Soul on Ice. We'll be like Three The Hard Way. That was a boss flick wasn't it? Oooh! 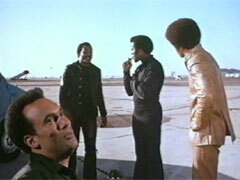 Jim Brown, Fred Williamson, Three The Hard Way, Jim Brown, Fred Williamson, who's the third one? Jim Kelly. Hoo! 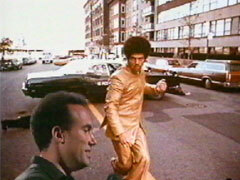 Jim Kelly bad, kick you straight up in the belly Jim Kelly. And don't mess his Afro up none! 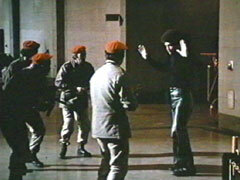 I tell ya man, Afro is cool man, Jim Kelly man, hoo! I tell ya boy. I think they changed his name when he came out to Hollywood; used to O'Kelly, they said O'Kelly, Jim O'Kelly was too ethnic. Now he has a little cousin, bald headed cousin, what was his name? R. Kelly, yeah. Used to run around the house talking about he could fly. 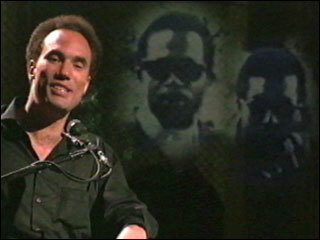 Him and Donny Hathaway. Hmm. Where is the love? Not down there Danny, come on now. Well, you heard what happened to Bruce Lee; they called up Bruce Lee and said you gonna have to fight Jim Kelly, Bruce Lee dropped dead on the spot. Boom! Just like that. Said, ain't no way in hell I'm fighting that black Irish. You know he crazy.